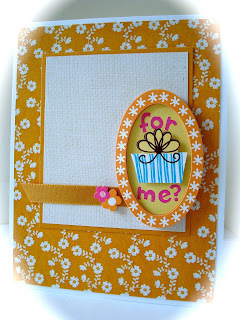 Amy's Creative Pursuits: For Me? Hello! Today I have another K & Co Birthday Card to share with you. Before I left on vacation last week, I made about six cards in just a couple of hours one afternoon using K & Co Stickers. I had a lot of birthdays that week, and needed some quick and easy cards! I love K & Co Stickers because they have a lot of detail, dimension, and sparkle! My layout is from Splitcoaststampers (SC422). 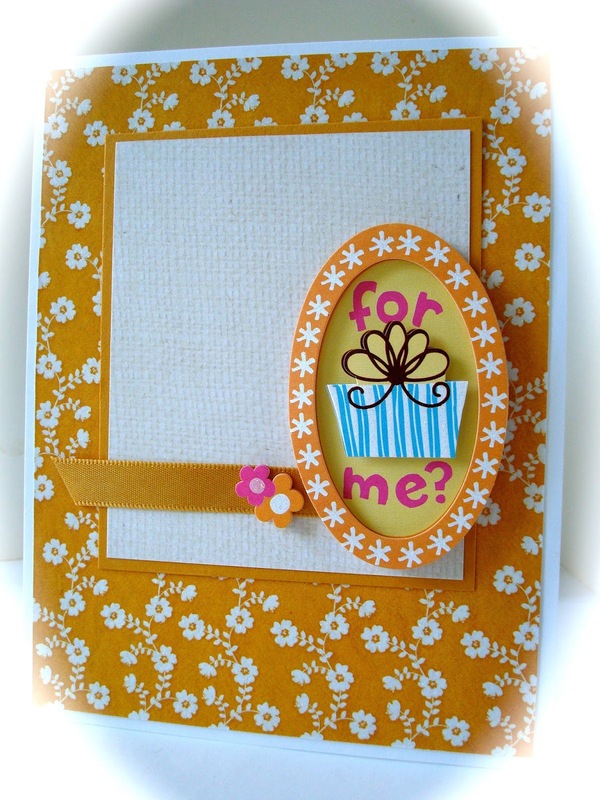 I used designer paper from DCWV 'The Homespun Mat Stack', but decided on a plain, white, textured paper for the center panel so that the sentiment sticker will really stand out. I only added a touch of ribbon and another sticker for embellishment. A really beautiful quick and simple card Amy. Loving the sketch and colors! What a delightful and wonderful card Amy, fab little image and great paper. Neat!